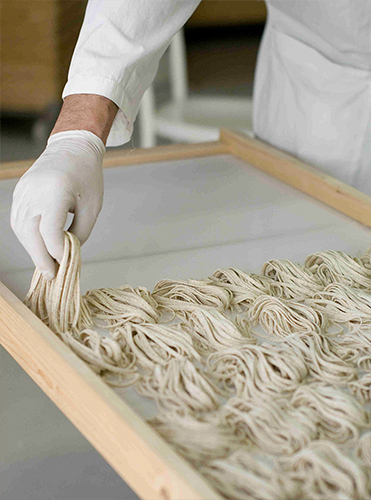 A long drying process at low temperature for more than 18 hours preserves all precious nutrients and flavours of the freshly milled flours. 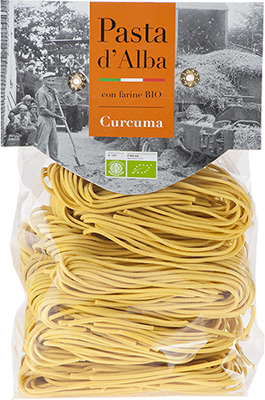 This makes the pasta more nourishing, more digestible and also more fragrant. 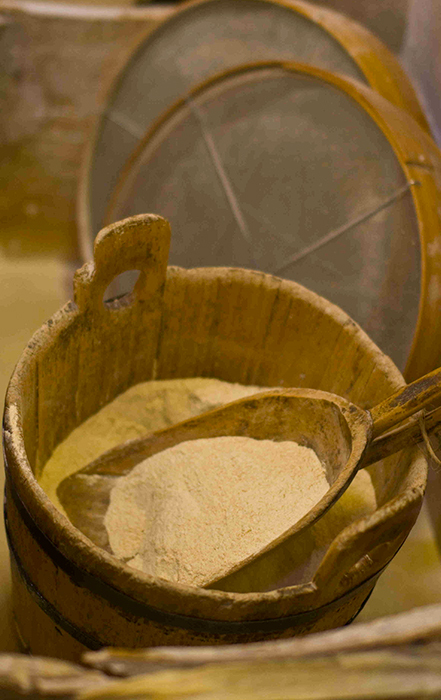 as the traditional corn ‘ottofile’, ‘marano’ and ‘pignolet’ or the chestnut ‘garessina’. 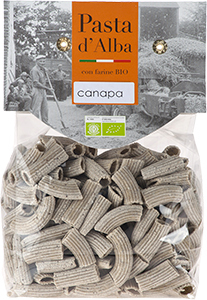 For products with whole wheat semolina we decided to use the variety ‘Senatore Cappelli’, an ancient durum wheat which did not receive any genetic alteration of modern industrial farming. 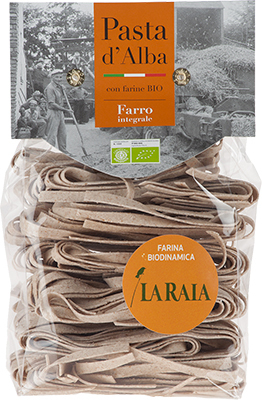 For our spelt products we use a stone milled monococcum variety produced following biodymanic farming by La Raia, a local farm. 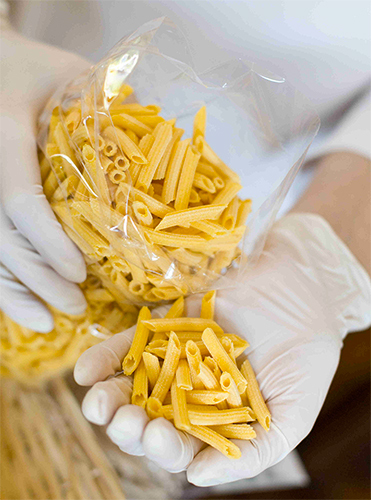 Transparent packaging gives high visibility to the product showing immediately shape, color and consistency. 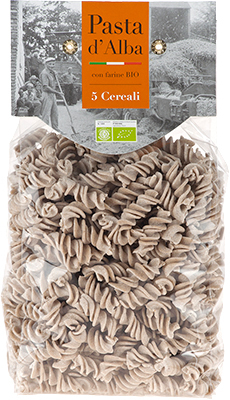 They are completely sealed and guarantee a perfect storage and shelf life. Our customers are always satisfied: who tries it once, buys again! If you have a business contact us to have our catalog (On demand is also possible to receive samples). If you are a private end consumer ask us the indication of the closest shop or visit our shop on-line. We are located in the heart of the magnificent land of Langhe.